Seawhite offers a range of sketchbooks one of which is bound to meet your individual needs. The range includes cloth bound, hardback, soft cover, spiral, stapled or stitched sketchbooks. 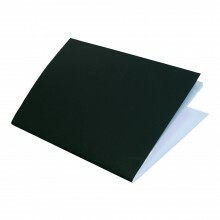 They also do gorgeous presentation books with black paper and cases, as well as providing recycled sketchbook options.